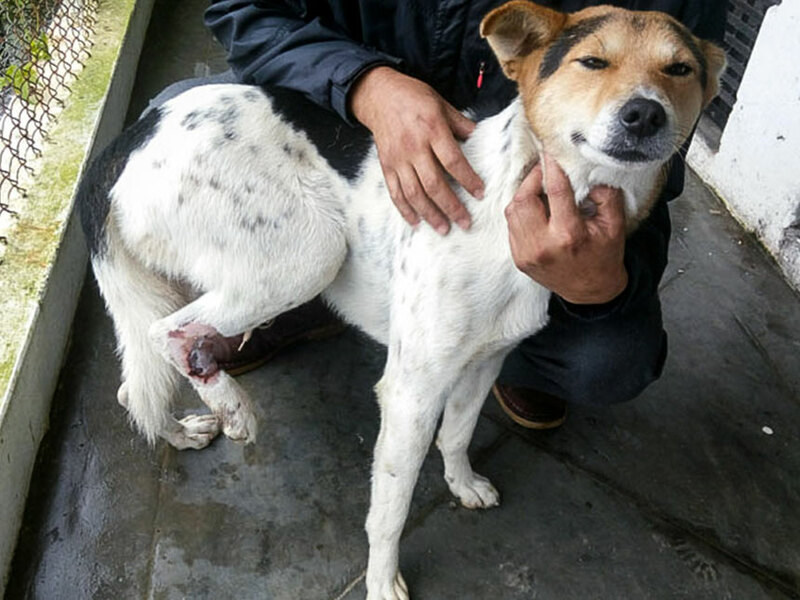 Darjeeling animal shelter, a sister organisation to Kalimpong animal shelter has always worked hard in rescuing animals from the streets for ages. 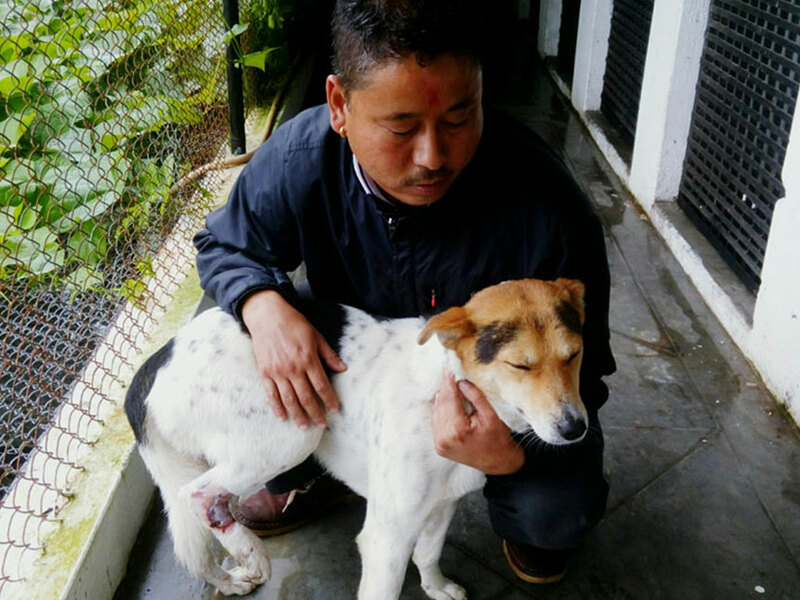 When any injured stray is found on the road, the dog is thereafter treated and taken care of by Darjeeling shelter until its recovery. The journey of Darjeeling has come very far in helping the victimized dogs live a healthy life. Many dogs posing threat to society or causing menace in army cantonment area are also rescued by the staff from Darjeeling shelter; the staff are always at their beck and call. Last week in the month of October, 2017 when the long indefinite strike in the hills had lifted there were cases of dogs suffering from mange or falling sick due to the cold weather of Darjeeling. In this respect the dogs were brought to shelter and treated till they recovered from all such ailments. Not only this, but Darj shelter has many a times come across dogs that have met with car accidents causing severe injuries. Hit and run case has been on the rise everywhere and even though people are learning to love animals yet they forget to save these innocent animals. 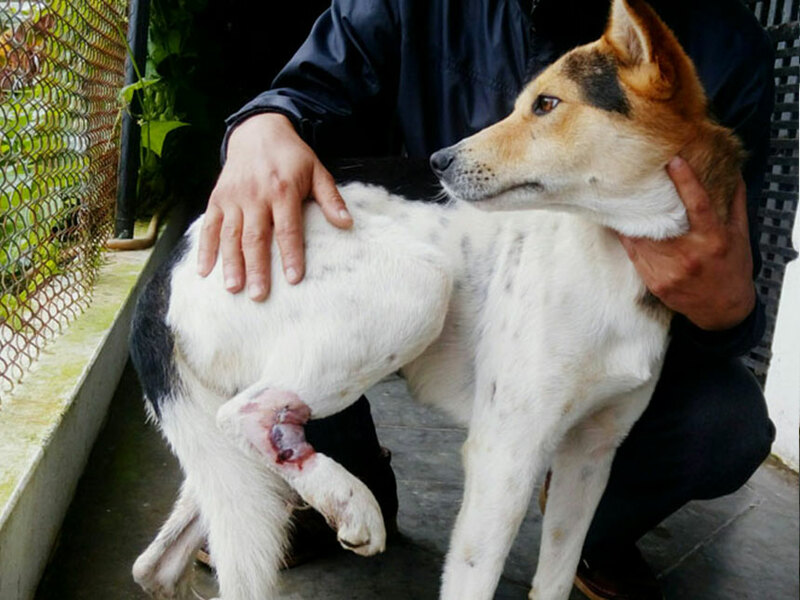 Recently in October, an injured dog with a swollen hind leg was found limping on the street near Tibetan refugee centre. This dog was crouching in pain and looking for some help but there was nobody to its rescue. The monks living at Tibetan refugee centre having seen the dog was deeply moved by it as the monks believe in ‘Ahimsa’ meaning non-violence to animals. They wanted to help the dog at the first sight and the best possible way for them was to seek help from Darjeeling animal shelter. One of the monks watching the dog suffer called the animal ambulance for help and shared his concern towards the dog. On hearing this, the shelter rescue squad reached the spot and located the dog that was found limping on the road. The dog was then brought back and examined thoroughly for its treatment which would follow a weekly dose of antibiotics as well as dressing and debriding. The hind leg foreskin had been peeled off with bones jutting out where pus had formed. The dog was in real pain and his eyes could reveal his hidden story. It has now been five days the dog is admitted at the shelter and he is improving day by day. His dressing starts on alternate days followed by a daily dose of antibiotics, pain relief injections and ointment. Once he feels safe and better he will be released into the street where he will meet his old family and unite again.